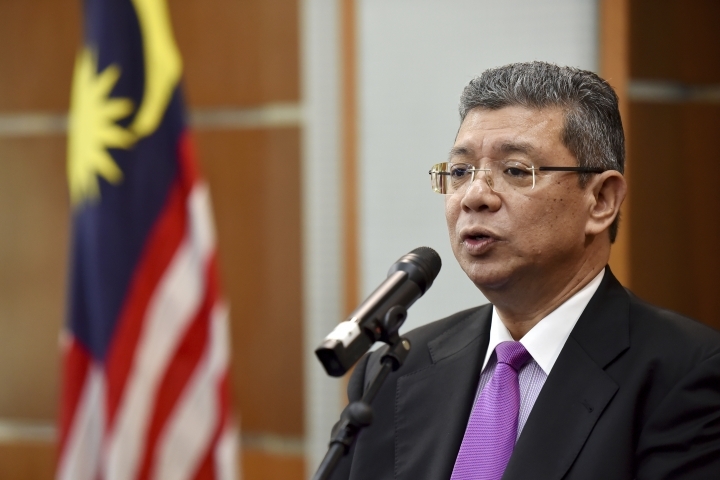 PUTRAJAYA, Malaysia — Malaysia's foreign minister said Wednesday that the government will not budge over a ban on Israeli athletes in a para swimming competition and has decided that the country will not host any events in the future involving Israel. "The Cabinet has also decided that Malaysia will not host any more events involving Israel or its representatives. This is to me, a decision to reflect the government's firm stance over the Israeli issue," Saifuddin said after meeting a coalition of Muslim groups. "It's about fighting on behalf of the oppressed," he said. Israel's Paralympic Committee said later Wednesday that together with the International Paralympic Committee, it hopes "to find the right solution before July." "We believe that any additional statements at this stage may only be harmful," Leah Schneider, an official representing the committee, said in an email reply to the Associated Press. Prime Minister Mahathir Mohamad has said the International Paralympic Committee can withdraw Malaysia's right to host the July 29-Aug. 4 championship involving athletes from some 70 countries if they wish to do so. The committee has said it was disappointed with Mahathir's comments but hopes to find a solution to the issue. This isn't the first time Malaysia has stopped Israeli athletes from competing in a sporting event. In 2015, two Israeli windsurfers had to withdraw from a competition on the resort island of Langkawi after they were refused visas to enter. The following year, Malaysia decided not to host a 2017 conference of the world football governing body FIFA because an Israeli delegation was scheduled to participate. Some 60 percent of Malaysia's 32 million people are ethnic Malay Muslims. Many have taken to the streets in the past to support the Palestinian cause.